The user 'dhaffnersr' has been placed in moderation and will not be able to respond to comments. 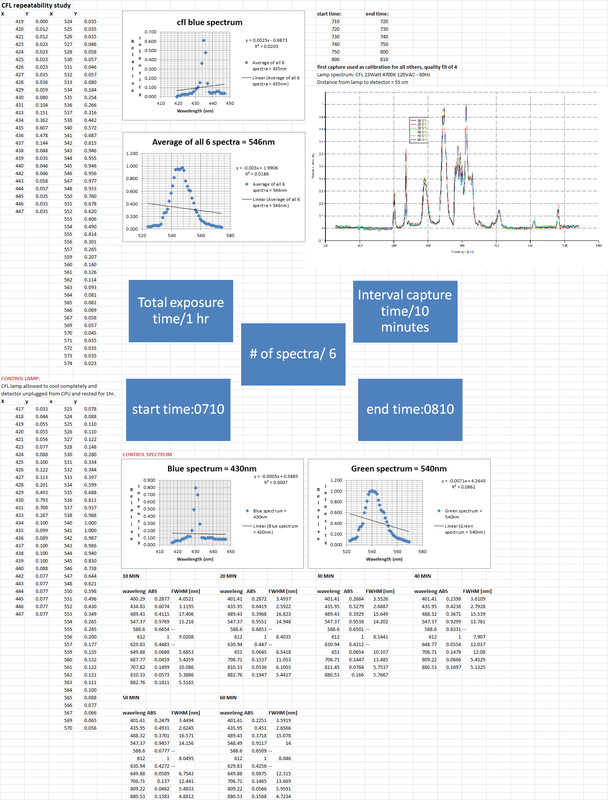 Below are the graphs processed on Spekwin32 spectrometry editing software, only sspike removal and baseline correction were done as to preserve the integrity of the spectra in raw data form. 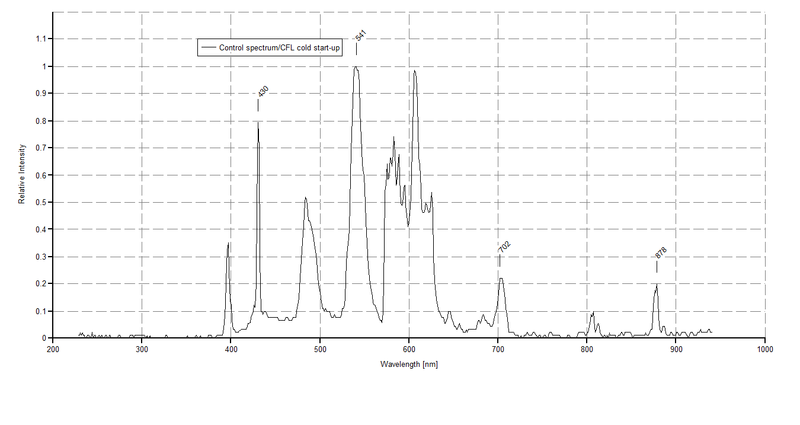 This next graph shows my control spectrum, the CFL was allowed to cool down and the detector was unplugged for 1 hour also. This looks pretty "repeatable". Peaks all in the same places. The 10 min peak is a little higher than the later ones but not too far off. 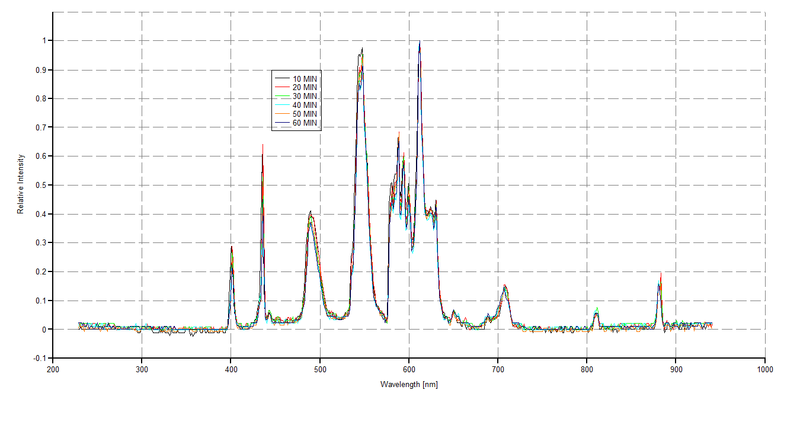 Next step of repeatability control would be to hand over the lamp to another PLab spectrometer user and find out if he gets the same peak wavelengths and peak intensities with this lamp. Third step would be to leave the setup in place unchanged and test again in 1 week. 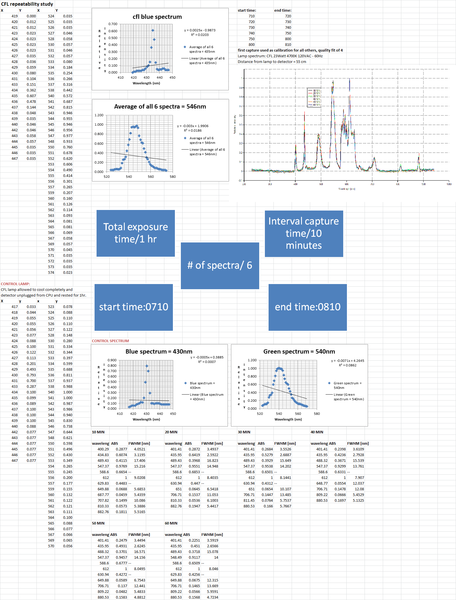 If the time and the different spectrometers don't change the curves too much, that would speak for the quality/reproducibility of future spectra for environmental studies and for instance for the common "oil company sample fingerprint database" that might be built up by this community these days. hello viechdokter! thanks for checking this out, yes all 6 look very similar, only very small differences are noticable, building a credible database is my big goal here, your idea about others using the same lamp with the same conditions is spot on!